Cracked & whole, green peppercorns are the unripe dupes of the pepper plant. They're freeze dried in order to maintain their bright fresh colour and flavour. 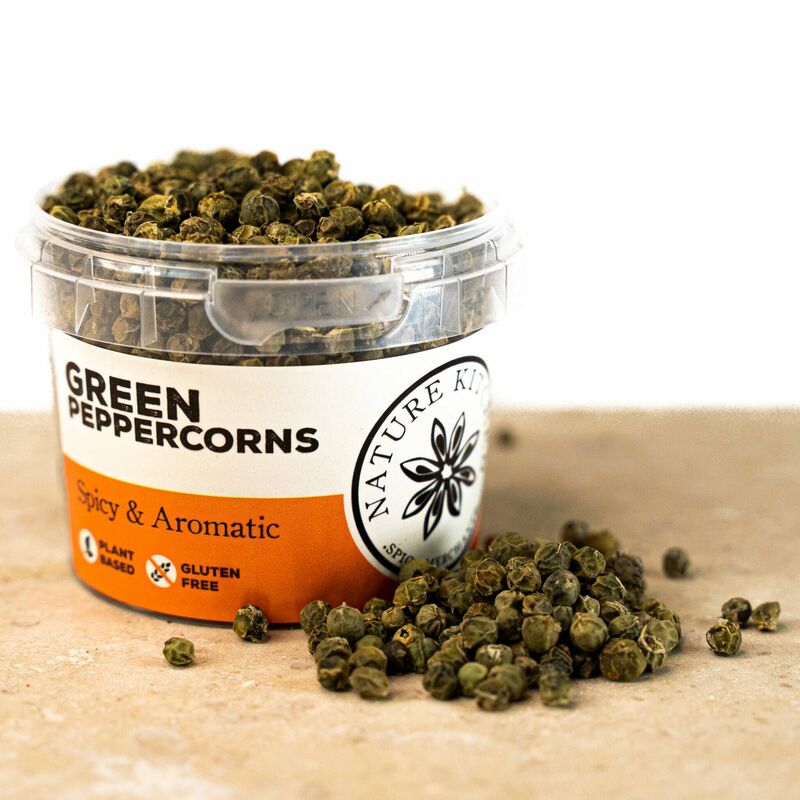 Green pepper corns have their own distinctive taste which is quite different to the black pepper corn giving it a fresh more herby taste.